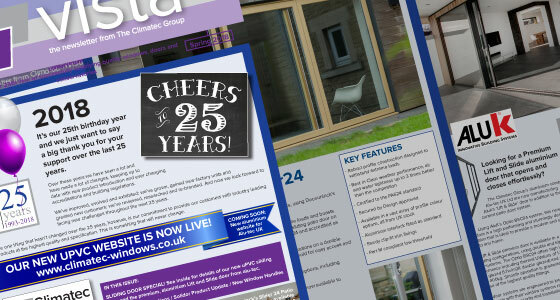 The Vista quarterly newsletter from Climatec is full of interesting information on our products, services, and industry developments. 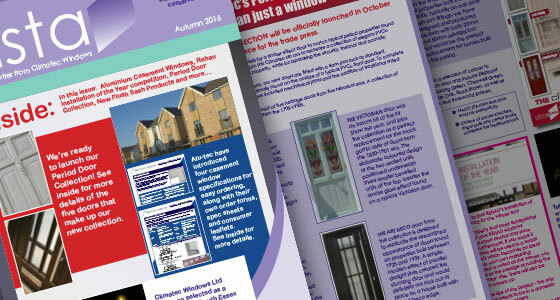 Stay up to date with all the latest industry regulations and find out information about the latest products and installation guidelines. 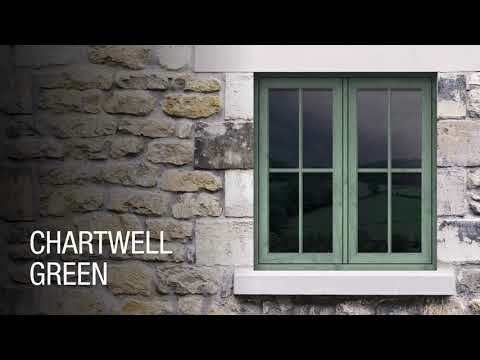 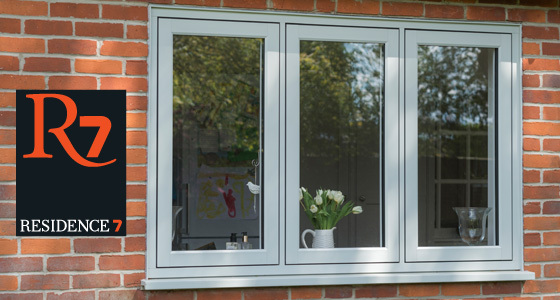 REHAU have introduced a new Flush Fit Window and Climatec are ready to make it for you! 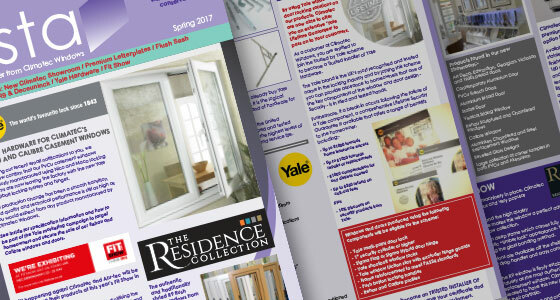 Read about the REHAU Rio in this issue of Vista, as well as a new fabrication project for Alu-tec windows; The Infinium Sliding Door. 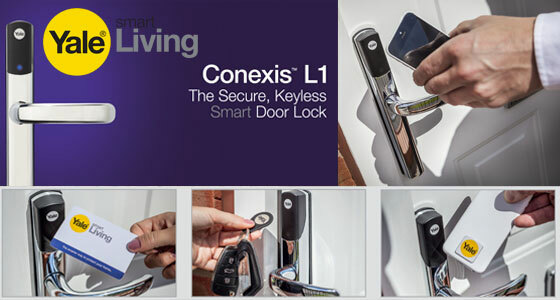 Don't miss our important production updates and new products also featured in this issue. 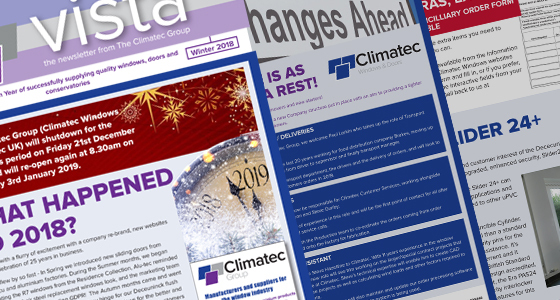 Finish 2018 with a quick read of our Winter Newsletter. 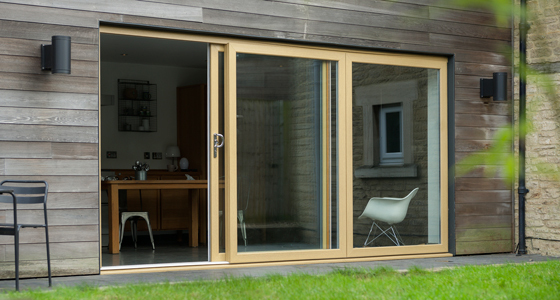 This festive edition also provides information on how you can upgrade your Deceuninck Sliding door to an enhanced security option. 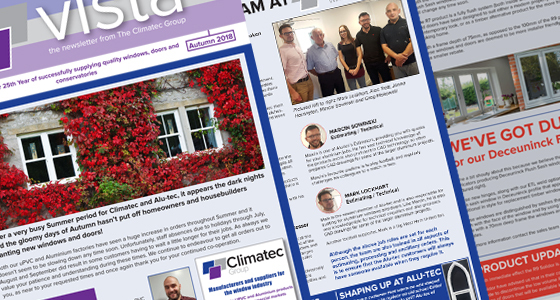 In this issue we meet the team responsible for your aluminium quotes and orders at Alu-tec. 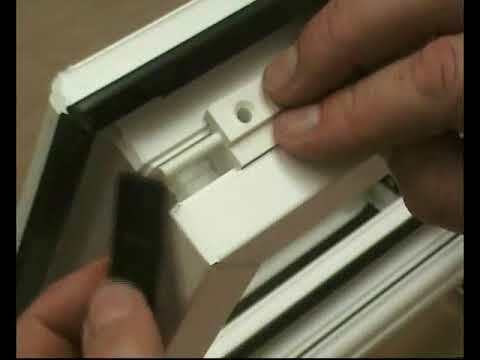 You can also read about R7, Deceuninck and Solidor products. 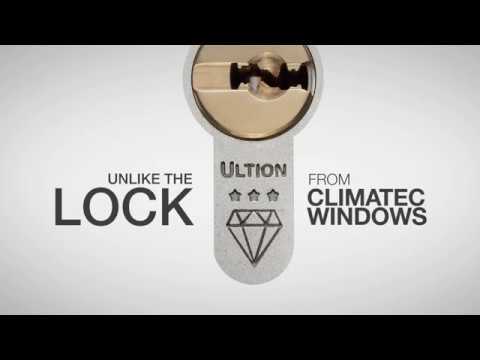 In this issue, read about our Sliding Door products from Alu-tec and Climatec Windows. 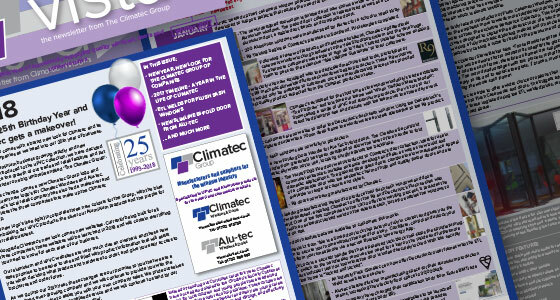 In this issue catch up on the the years' events at Climatec. 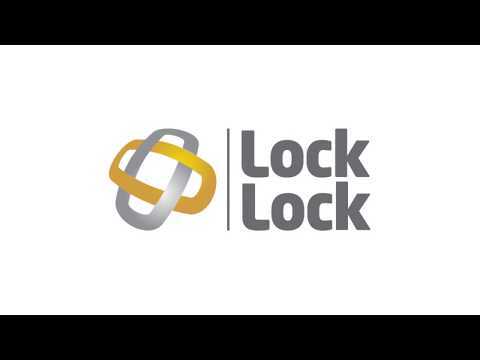 Join us as we look forward to our 25 year anniversary in 2018. 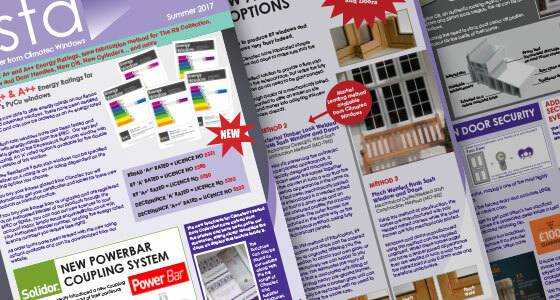 In this issue find out about the importance of energy efficiency ratings and new information about the Residence 9 Collection. 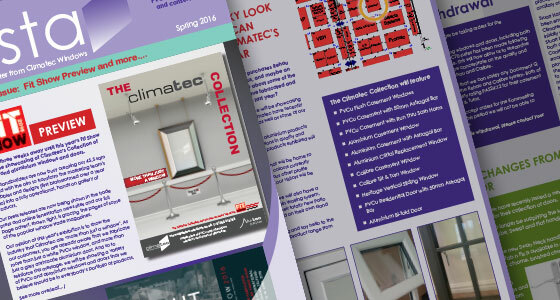 In this issue, find out about the new Climatec showroom. 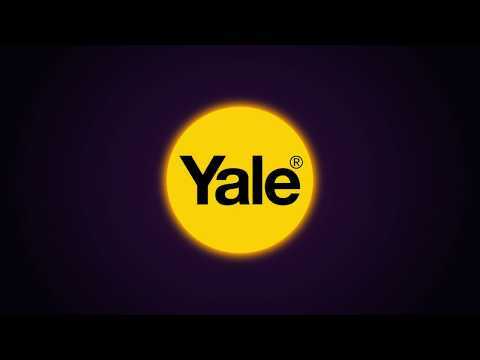 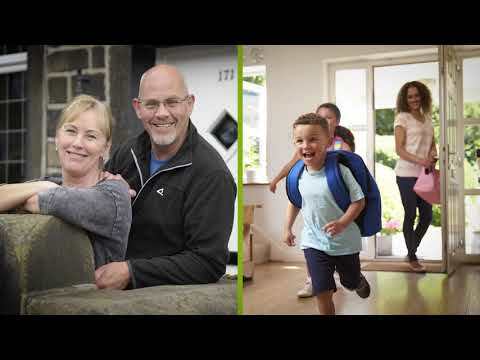 Also, browse our range of high performing Yale hardware. 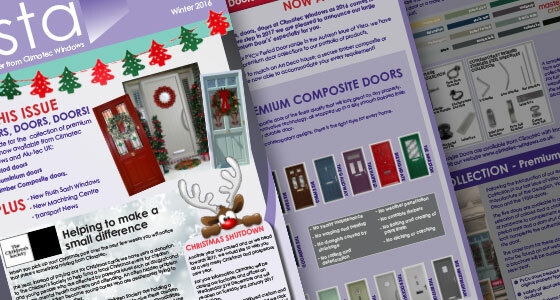 Our festive edition is all about doors. 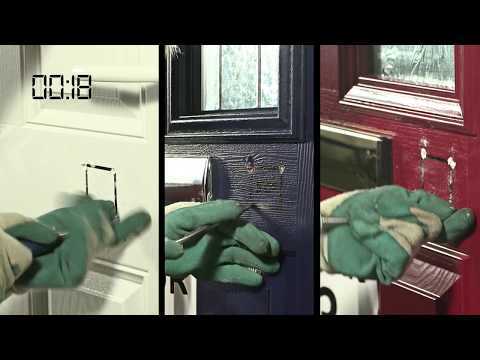 Browse our extensive range of high quality aluminium and composite doors. 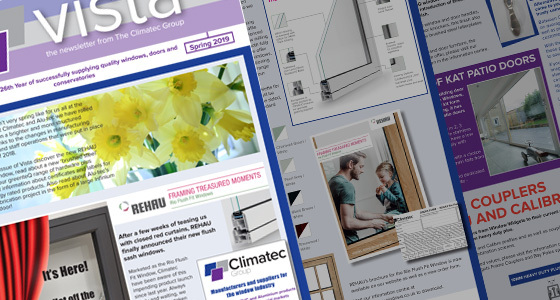 In this issue the focus is on Climatec's Period Door Collection. 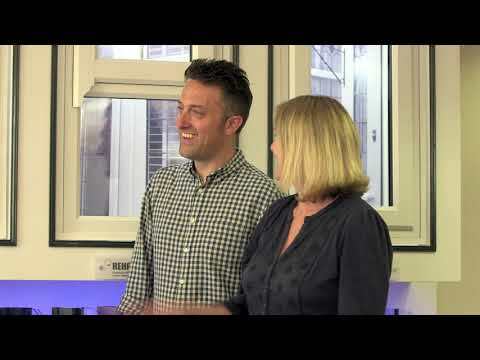 Plus find out about the Rehau Installation of the Year Competition. 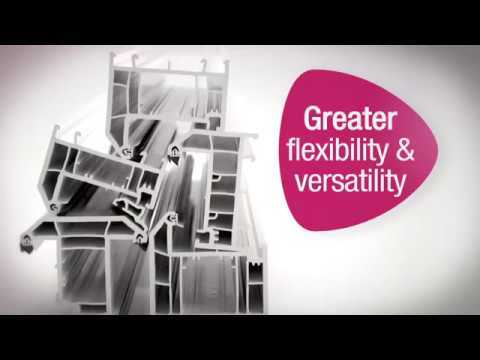 In this issue, read the FIT Show review, detailed product news, machinery investment, Alu-tec news and much more. 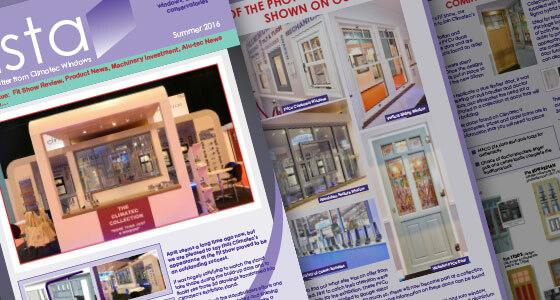 In this issue get a preview of this year's FIT Show. 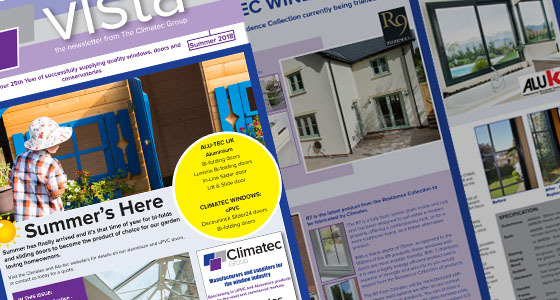 Also inside, find out the latest changes to the Kömmerling and Solidor product range.